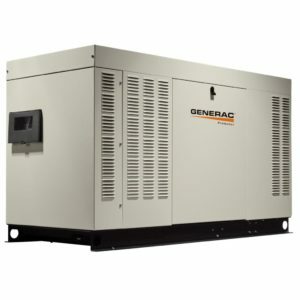 Generac Protector 25kW Standby Generator. Automatic backup for large or custom homes. Looking to back up your entire home, or more items than usual? Consider the Protector Series 25kW gaseous automatic backup generator. This unit powers essential appliances and modern technologies during power outages, perfect to continue living comfortably and without interruption. True Power Technology – Delivers best-in class power quality with less than 5% total harmonic distortion (THD) for clean, smooth operation of sensitive electronics and appliances. Evolution Controller – A cutting-edge, intuitive control. The Evolution controller features a multilingual, two-line LCD text display with color-coded, backlit buttons. It has received upgrades, including USB flash capability, smart battery charging, voltage adjustment, and backlit membrane pad style buttons. Durable Steel Enclosure – Sturdy galvanneal steel enclosure with a durable powder-coat finish for superior weather protection. Aluminum Enclosure Available – Aluminum enclosures provide enhanced durability, and are corrosion resistant – ideal for homes located in coastal and salt-air environments. 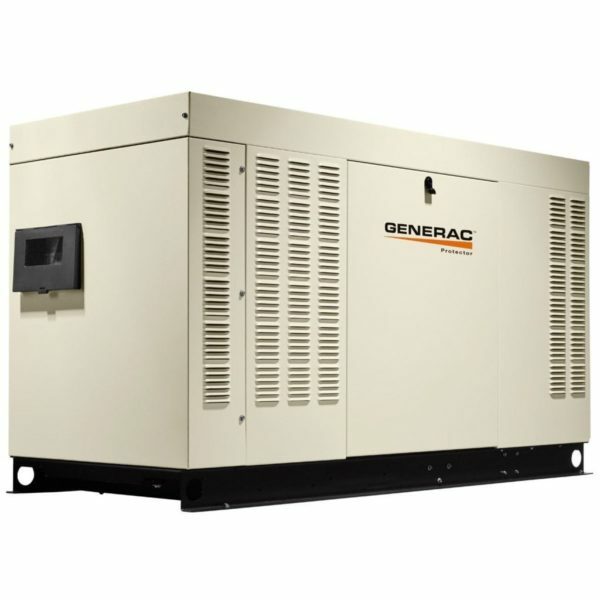 Quiet-Test – All backup generators run a weekly test to ensure the system is running properly. Thanks to Quiet-Test, your Protector Series home generator runs its self-test at a lower, quieter RPM, which can be programmed to run weekly, bi-weekly, or monthly. 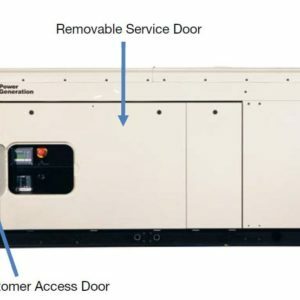 Additional Features – Improved stub ups and electrical connection access decrease installation costs. All connections are dual conductor rated, and the implementation of quick connects for the control wires, completely eliminates the need for crimping or lugging. Improved customer connection access, which decreases installation costs.